Make meal prep easier than ever with this food processor from Tower. It comes with a 1.5 litre bowl and a 1.4 litre blending jug, so you can easily whip up anything from delicious smoothies and sauces, to tasty dips and side dishes. 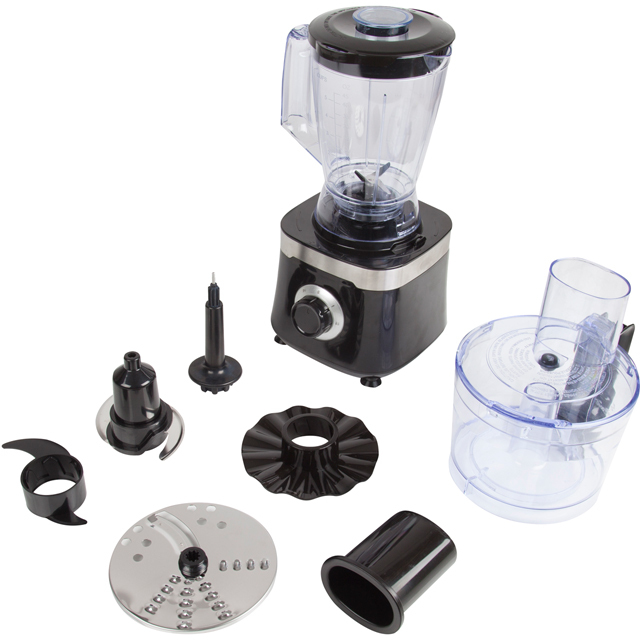 The interchangeable stainless steel blades work effortlessly with a variety of ingredients, so you can blend, chop and grind to your heart’s content. There’s even a special slicing and grating disc which is ideal for cutting fresh vegetables for salads. And, when you’re making a hearty soup, the pulse function helps you create the perfect consistency. It also has a lockable lid to keep everything safe inside, and its removable parts make it really easy to clean.